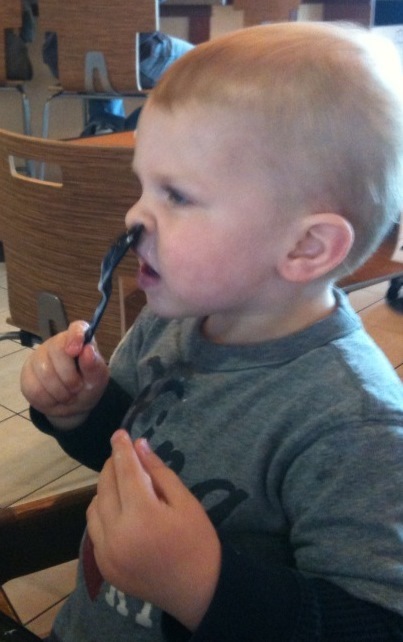 It is on the top of your nose, not in your nose. The flight was calm, except for having to avoid the hail and thunderstorms and the kids were great! No one napped. We have arrived after a really long day in Denver. 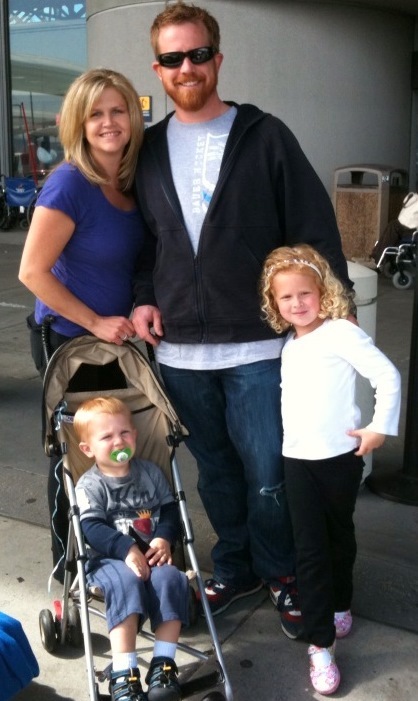 We love coming to see our family and friends. 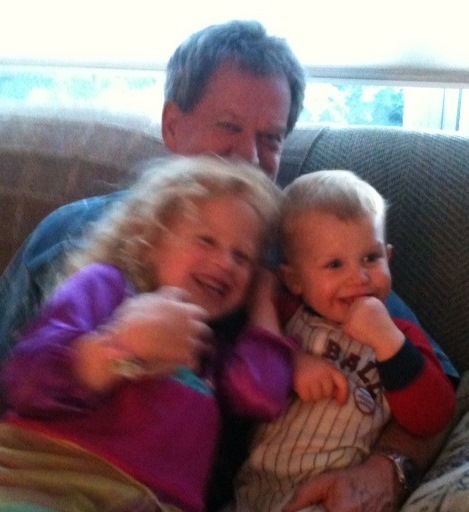 The kids love their grandpa! My family loves being in Denver! It is more about family and friends than it is about being in a "place." We have grandma and grandpa doting on the kids. We have friends who love us enough to organize events where we are involved and the center of attention. Well, if I am the center of attention all is well with the world! James loves it too! Lilly, well she just needs him to leave her alone! Too too cute! And, well said, is about family.